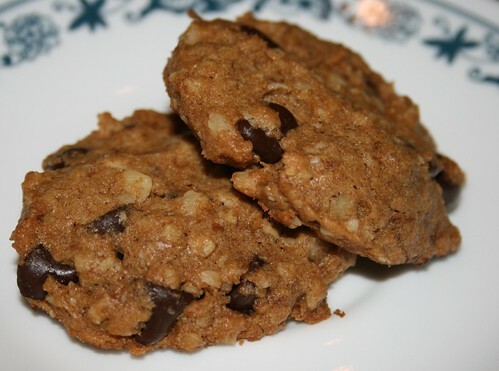 Update: I came up with a different oatmeal/okara cookie recipe that I think is much better than this one. 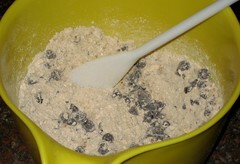 and mix until well incorporated. 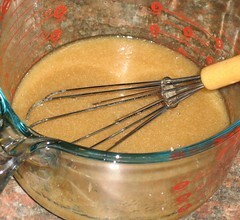 Add wet ingredients to dry ingredients and stir together thoroughly. The dough will seem sticky and wet. 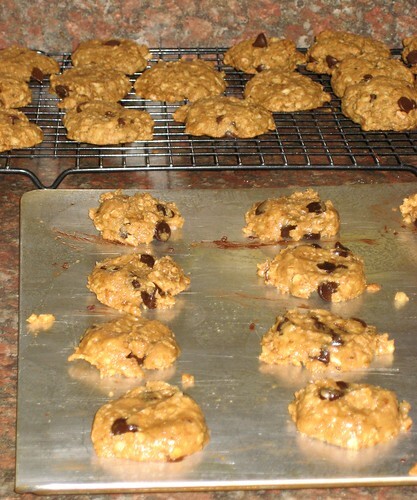 Refrigerate cookie dough for 15 minutes -- this will allow the oats to absorb some of the liquid, resulting in a firmer dough. Drop cookies onto a lightly oiled cookie sheet by the Tablespoonful. Flatten down with a fork or your finger tips. Bake for 350 degrees Fahrenheit for 13 minutes. 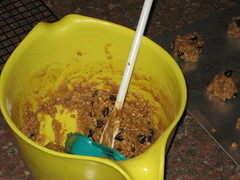 Let cool off on pan for a few minutes before transferring cookies to a wire cooling rack. This recipe makes about three dozen cookies. Verdict: I really liked the flavor of these cookies. The espresso powder gave it a nice dimension, but I might not have noticed its flavor if I didn't know it was there. If you want something that is more overtly coffee-flavored you'll probably want to increase the amount of espresso powder. Although I liked the flavor, I thought the cookies were a little bready. They didn't quite have that cookie feel.